The Big Ten is undoubtedly the league everyone loves to hate. The ACC, meanwhile, is the league everyone wants to love, even though history says, why bother? Celebrated on national signing day, hyped in the preseason, humbled in early January -- that's the ACC. Every. Single. Year. Searching for its first national title since 1999, the ACC hitched its wagon to the Florida State Seminoles, the undisputed kings of the preseason poll. 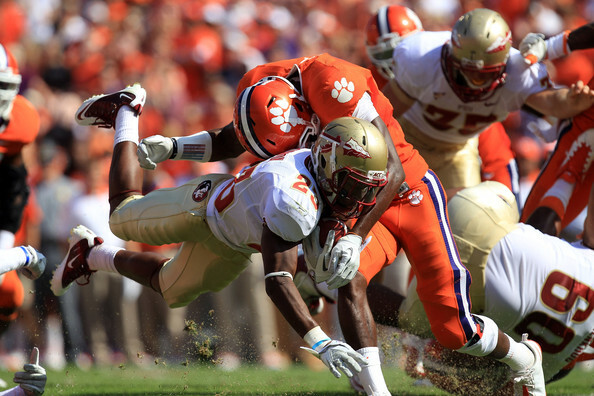 Florida State teased us with an impressive start and an exciting win against fellow ACC heavyweight Clemson. But two weeks later, FSU had its typical no-show against an unranked foe, falling to an NC State team that would dump its coach (Tom O'Brien) after the regular season. To read the entire article, and it seems painfully true, click here.